Two companies plan to install more Bitcoin ATMs for Argentina, amidst the country’s financial crisis. Argentina’s financial crisis will be eased, with the introduction of more BTC ATMs in the country. Two U.S. based companies, Athena Bitcoin and Odyssey Group, plan to install more BTC ATMs around the South American country, bringing a ray of hope to its citizens. According to Reuters, Athena Bitcoin, set up Argentina’s first cryptocurrency ATM in a shopping mall in the capital, in September. Odyssey also said that it would install 150 ATMs by the end of 2018, 80 percent of which will accept only BTC in early 2019. Presently, there are only two of such cryptocurrency ATMs in Argentina with both of them located in the capital, Buenos Aires. 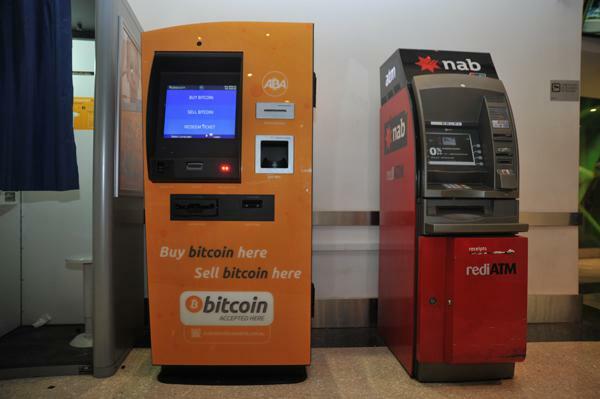 Today, the cryptocurrency ATMs in the world are growing exponentially. In Argentina, there were no commercial ATMs, and the idea was to be the first to capture the market. However, Argentina is not the first South American country Athena Bitcoin is visiting, as the company installed twelve ATMs in Colombia. Galeazzi further said that the current financial crisis rocking Argentina creates an opportunity for virtual currency growth. Furthermore, Galeazzi noted that the ongoing devaluations are favorable for Bitcoin, as there is an increase in transactions. The operations manager added that the crisis paves the way for the company to invest in cryptocurrency ATMs. Also, the ATMs will accept only BTC for now. But as time goes on, altcoins like Litecoin, Ethereum, and Bitcoin Cash would be added. Odyssey Group ATMs, however, operates differently, as customers can carry out bank transactions. These include the transfer of money between accounts, deposit, and withdrawal of fiat money. Begona Perez De Solay, general manager of Octagon, a subsidiary of Odyssey Group responsible for ATMs transactions in Argentina, laid out the company’s plans. De Solay said that the company would install 1600 BTC ATMs in Argentina on behalf of Odyssey by 2019. Athena Bitcoin and Odyssey Group have plans to expand to other Latin American countries. While Athena Bitcoin is focusing on Brazil, Mexico, and Chile, Odyssey Group plans to explore other parts of the region. Despite Argentina’s continuous clampdown on cryptocurrency operations in the country, it has not deterred the virtual currency adoption in the country. The South American country joined the list of countries using Bitcoin ATMs, with some residents accepting and trading in BTC. Furthermore, the acceptance of Bitcoin ATMs by the country’s apex bank paved the way for an influx of cryptocurrency ATMs in the country. Apart from cryptocurrency adoption, Argentina has also adopted Blockchain technology. A municipality in Argentina, Cordoba, set the trend by adopting Blockchain Technology. According to the region, it aims to reduce corruption drastically and create room for transparency. Cover image courtesy of Computerworld Australia.